Kerala is not only dotted with beaches and palm trees but also a rejuvenating aura. Bountiful nature at the ‘God’s own country’ holds the secret of wellbeing in her heart. The magical herbs can cure any ailments and work wonders in soothing the senses. Rejuvenating Kerala Ayurveda Tour is meticulously designed to imbue you with a new vibe. In 7 amazing days, you will be marveling at the exciting sight of the mesmerizing backwaters and alluring landscape. Basking in the sunshine and partaking in water sports are also in the list. Get ready for discover a new you. Upon arrival at the Cochin airport, meet our tour representative who will help you with guided transfer to one of the pre decided hotels. Complete the check-in formalities and settle in the comforts of your room. Relax for a while and afterwards get ready for visiting the top tourist destinations of Cochin. Start your tour with St. Francis Church. The 15th century church amazingly exhibits Portuguese architecture. Believed to be one of a kind amongst all European churches in India, the place is a haven for peace and solitude seekers. The body of the famous explorer Vasco da Gama was buried here. However, his mortal remains were transferred to the Lisbon but a tomb here still grabs the attention. Next, you will be visiting the Jewish Synagogue. Out of the 7 synagogues, this is the only one in operation. Painted Chinese tiles adorn the church and the best part is that none of these tiles are alike. Grand lightings and Belgian chandeliers add to the charm of the sacred place. Dutch Palace is the next stopover. 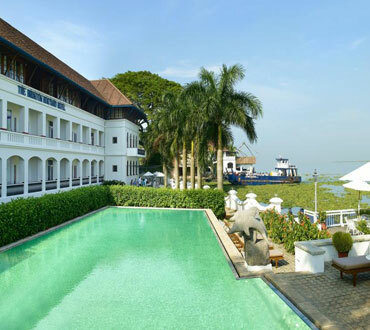 Also, known as Mattancherry Palace, the edifice boasts of beautiful interiors. The historical palace is also a museum which exhibits paraphernalia belonging to the royals of Kochi. The central courtyard preserves the deity of the royal family. Another attraction is the Hill Palace Museum. The Palace was the official residence of erstwhile rulers of Kochi. But now it is counted as Kerala’s first ever Heritage Museum. Built in traditional Kerala style, the edifice is full-fledged Ethno-Archaeological Museum. Witness the murals, oil-paintings, manuscripts, sculptures etc. Get ready for a time travel by visiting Fort Kochi. 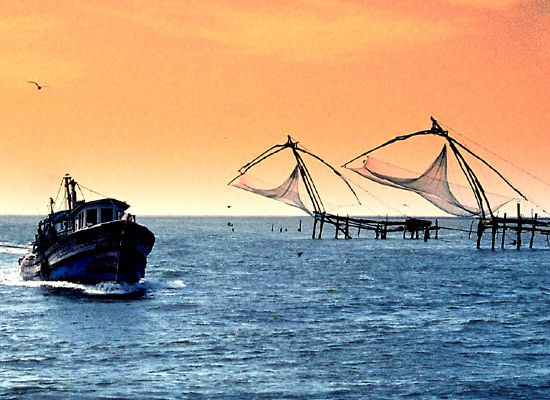 Fort Kochi is a seaside town which displays an old-world colonial charm. The ancient town is a myriad of edifices that are the vital evidences of the Dutch or Portuguese colonialism. Post this, you will be taken to witness the Chinese Fishing Nets being lowered at the Vasco-da-Gama square. These nets draw a huge number of tourists from all around the world. Also known as Cheena vala, these nets are fixed installations which are used for fishing in a unique way. The distinctive and unique design of the nets make them very photogenic. Also, the rhythm of their operation is really mesmerizing. Evening is reserved for taking a leisurely walk in the Cochin Spice market. Shop for finest quality of spices. The pleasing aroma of cloves, ginger, turmeric, cardamom and pepper lingers on your mind for long. Once done with shopping, return to the hotel for having delicious dinner. Start your day with delectable breakfast. Thereafter, you will be proceeding for cruise to Alleppey – the ‘Venice of East’. With Kerala’s backwaters and thousands of houseboats or Kettuvallams, the superb destination present a sight to behold. Traditional boat races bring life to the serene city. A trip to Alleppey is sure to fascinate you to the core. After reaching, you will be guided towards your houseboat. Settle in the comforts of the boat. 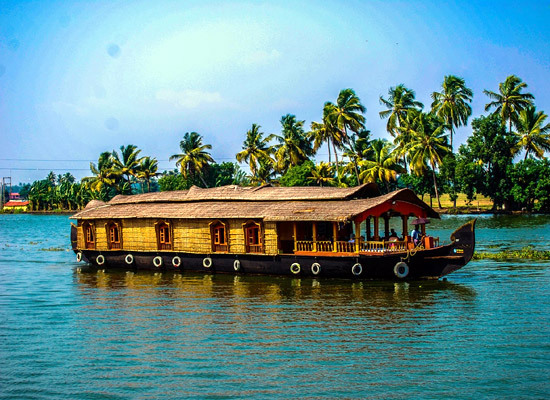 You will surely love to cruise on and around the rustic Kerala backwaters. These boats are lavish and come equipped with all the modern amenities. 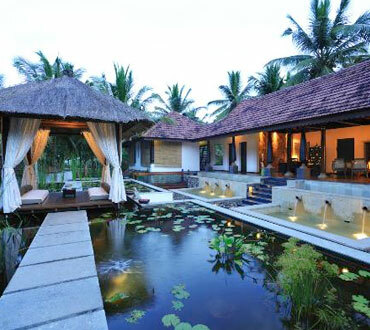 Admire an uninterrupted view of the backwater bounded by the coconut trees. Dinner and overnight stay is arranged at the houseboat. Deboard the houseboat in the morning and proceed toward Kovalam. Nestled along the coastlines of the Arabian Sea is an idyllic village known as Kovalam. Meaning of Kovalam is ‘Grove of coconut trees’ and going with its meaning, the place is dotted with countless coconut trees. 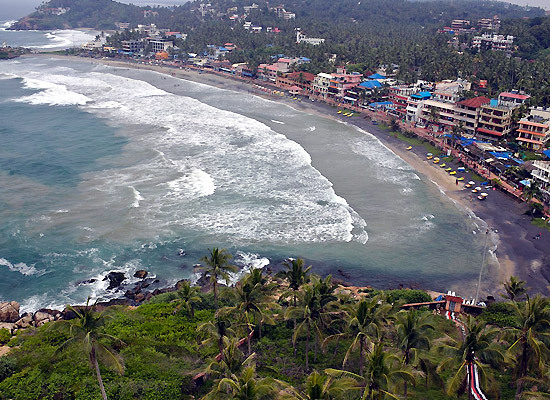 Three beaches are the landmarks of Kovalam and all three team up to form the popular crescent of the Kovalam Beach. Along with these beaches, Ayurvedic Treatments are also an important factor which makes Kovalam appear in the bucket list of people seeking for relaxation and rejuvenation. Yoga and meditation also go hand in hand with these treatments. After reaching Kovalam, check-in at one of the pre-decided hotels. Unwind yourself and subsequently head towards the beautiful beaches. Pay a visit to the Lighthouse Beach, famed for a 30-m high Lighthouse. The isolated Hawah beach is known for awe-inspiring views of the sunset. Samudra Beach is an ideal place to witness shoreline fishing and local fishermen ply their trade. Partake in exciting water sports like wooden boat ride, surfing and motor boat ride. You can also try herbal body toning massage which nourishes your skin like never before. Satiate your hunger with delicious dinner at the hotel. Day 4 of the Rejuvenating Kerala Ayurveda Tour is spared for you to enjoy an Ayurvedic therapy. At first, you will be meeting an expert doctor who resides at the hotel only. He will assist you with a diet chart and a program to be followed. A suitable Ayurvedic therapy will be suggested for you and you will soon be benefiting from the therapy. The Ayurveda therapies will be provided to you with utmost care. The expert advice work well, giving you desired relief from your ailments. However, for treatment to work really well, it is strictly advisable no to over exert yourself and keep alcohol and tobacco at bay. The therapies include various steam baths, herbal massages and yoga asanas. Savor a healthy breakfast in the morning. 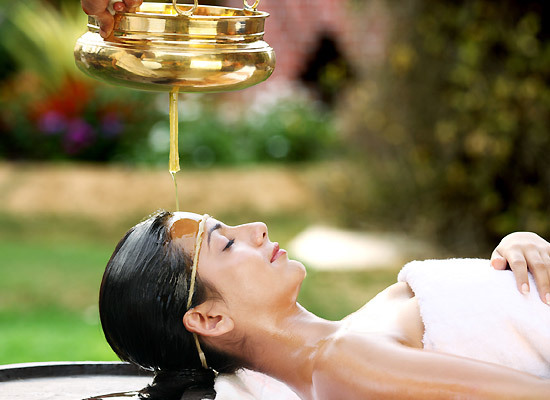 Rest of the day is at your leisure to undertake various Ayurvedic treatments and spend some time in Ayurveda Spa. The treatment will continue as prescribed by the doctor. Soon you will start feeling better and you will surely fall in love with the change in you. Enjoy dinner at the hotel. On the last day of the tour, hit the roads to Trivandrum. Upon reaching, complete the check-in formalities at the hotel. Enjoy some time relaxing in the hotel room. Afterwards, you will be visiting the major tourist attractions of Trivandrum. The first attraction which will render you speechless is the Padmanabhaswamy Temple. The holy shrine is shrouded with various mysteries associated with it. The temple showcases intricate blend of the indigenous Tamil and Kerala style of architecture. The principal deity is Lord Vishnu who is enshrined in the eternal yogic sleep postures on the serpent Adisheshan. Once done with exploring the iconic temple, you will be heading towards the Sree Chitra Art Gallery and Museum. The erstwhile Maharaja of Travancore Sree Chitra Thirunal opened this Gallery for the public for their enjoyment, education and development of artistic taste. The Gallery exhibits collection of paintings of various genres. In the evening, you will return to the hotel for dinner. Post this, you will be transferred to Trivandrum airport to board a flight for onward destination.